Hey gang, Valkor here. And in little over a year from now we’ll get to see the DC/WB Entertainment live-action fruits of labor that started with “Man of Steel” that will soon progress into Batman vs. Superman and Suicide Squad, all leading up to a huge Justice League movie. And while the theatrical releases have yet to be truly measured (Man of Steel was either “love it or hate it”), on the animation side DC/Warner are killing it! The adaptation films of popular comic book series, the movement to push the new DC 52 Universe into the animated forefront and the original stuff is causing geekdom to go frothing at the mouth for more – I want more! 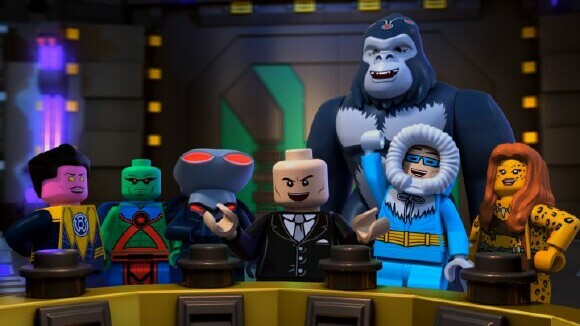 Well until one of the mature, animated heavy hitters is available we get to tone things down with “Lego DC Superheros: Justice League: Attack of the Legion of Doom”. Wow! That is one hefty title! Oh yea and major spoilers ahead, so be prepared. The villains, or rather Lex Luthor, Black Manta and Sinestro, have had enough of the Justice League foiling their plots day in and day out. 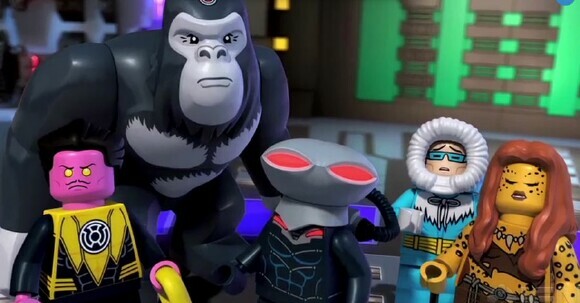 So they’ve devised a plan that would combine their strengths, with the addition of other villains (Gorilla Grodd, Cheetah and Captain Cold) and form a “Legion of Doom”, to put an end to the good guys standing in their way. 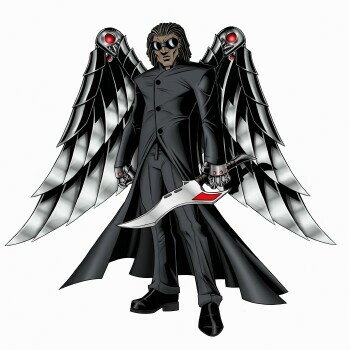 But in order to do that they’ll need one additional weapon and it’s held up within a location known as Area 52. 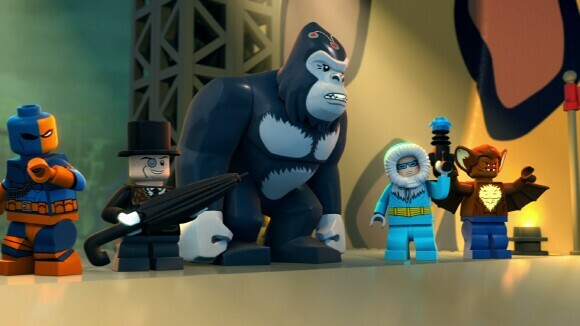 The Justice League show up at Area 52 to stop them, but ultimately the bad guys make off with their prize. What did they actually steal? Try a containment unit that has Martian Manhunter inside. Now on the side of good, we have Superman, Batman, Wonder Woman, The Flash and Green Lantern. But the story, from the hero side, puts the focus on Cyborg who is having a tough time finding his place on the team. He knows he can be a great hero but hasn’t proven himself. Worse, in a recent outing and because of his over ambitiousness, he sets off a stink bomb that not only ruins one part of a city, but the heroes costumes as well (they change into their DC 52 duds). Moving past the Area 52 attack, the Legion of Doom’s next step comes into play, when they use Manhunter’s abilities to trick the Justice League into thinking a nuclear reactor is about to blow. The only person who truly sees what’s happening is Cyborg, but no one believes him. Thus the reactor core is launched and exploded into space and the people of Metropolis are none too happy since they’ve lost all power. And as punishment the Justice league is banished from earth. But with the bad guys now running amok on Earth, how will the Justice League get back to put an end to their fiendish plot? And that's where I'll stop because I don't wanna ruin all the fun, right? Honestly? I’ll take watching a Lego movie rather than playing a Lego game any day of the week. I’m not totally against the games - I’m just not that big of a fan - and I’ve gone through Lego Batman, Star Wars and Harry Potter. But I get much more enjoyment chilling with a Lego flick. 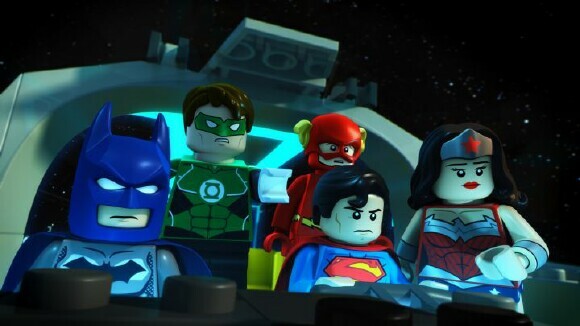 The last Lego film I reviewed was Lego Batman: The Movie – DC Superheroes Unite, which was so much fun. But how does Legion of Doom fare? 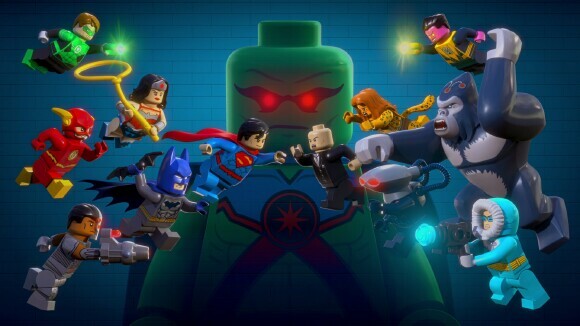 The powers combined of Lego animation and DC properties have proven to be a match made in heaven as “Lego DC Superheroes: Justice League: Attack of the Legion of Doom” has shown to be a worthy addition in the DC animation lineup. The film is a total blast from the beginning to the very end with a solid storyline that's filled with loads of action and fun. It’s a big adventure that does a fantastic job of balancing out all the characters and showing focus where needed, which in this case goes to Cyborg. You also get a nice range of verbal and slapstick jokes; one of my favorites is the play on “Wipeout”, where the villains run the gamut for their spot in the Legion. And when Deathstroke shows up and owns the course… but he gets booted because he’s just “too good”, it’s too funny. Another is the rivalry for the hand of Wonder Woman between The Flash and Green Lantern and even Cyborg takes a shot at Superman and his red undies. Plus there’s much more humor to be found throughout – much more! So you’re never short on laughs. 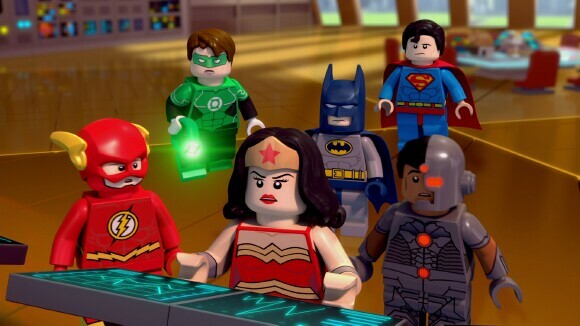 Yea the film is a hoot with plenty of Lego destruction, but what truly drew me in was how it pays homage to the late 70s show “Challenge of the Super Friends”, who also dealt with the Legion of Doom, plus hey tossed in some of the classic sound effects. You youngins might not get the reference, but the older crowd will love it if they’ve experienced the show as a child. Finally the voice acting is top notch across the board and I can’t really point a finger as to who I liked best. But I give Mark Hamill a nod for voicing Sinestro, even though The Joker would have been a better fit overall, not just in the voice but as a main villain character. Khary Payton brings his enthusiasm of Cyborg from the “Teen Titans” and “Teen Titans Go” series along for the ride and it’s a perfect fit for this style of animation. I also wanna give a shoutout to John Dimaggio, who not only plays The Joker (briefly) but kills it as Lex Luthor. 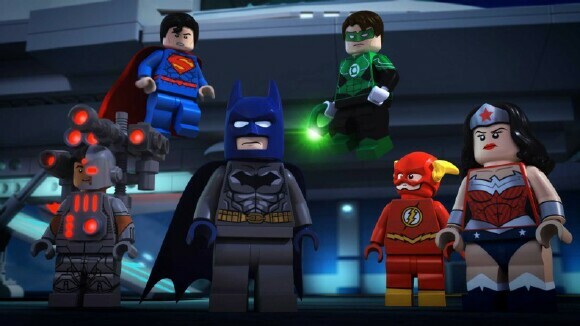 So to Lego, DC and WB Entertainment, keep churning out these gems and I’m sure myself and many others will keep on watching! 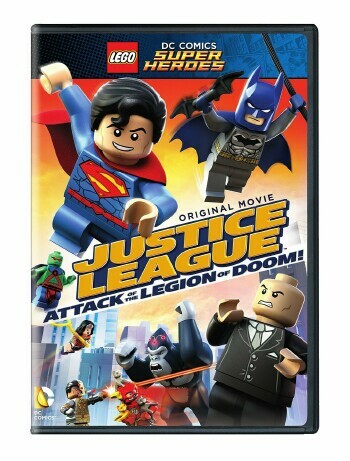 Lego DC Superheroes: Justice League: Attack of the Legion of Doom is available now on Blu-Ray, DVD and Digital video. 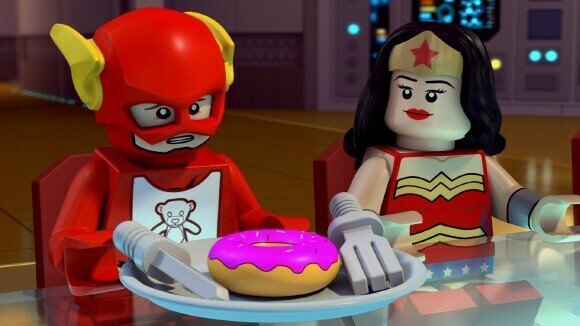 And it’s a film that anyone of almost any age can appreciate; its filled lots of Lego action and loads of laugh that’s most certainly a can’t miss. And out of TOV 5 stars, I’m giving Justice League: Attack of the Legion of Doom a perfect score of 5.